Welcome to the most popular page on my website! I receive more emails on this project than any other, and several people have sent me photographs of the versions they have built. 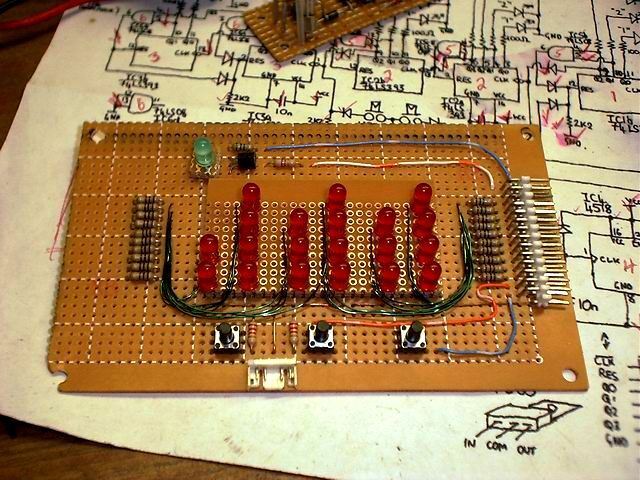 Scroll down the page to see pictures of binary clocks built by other builders. 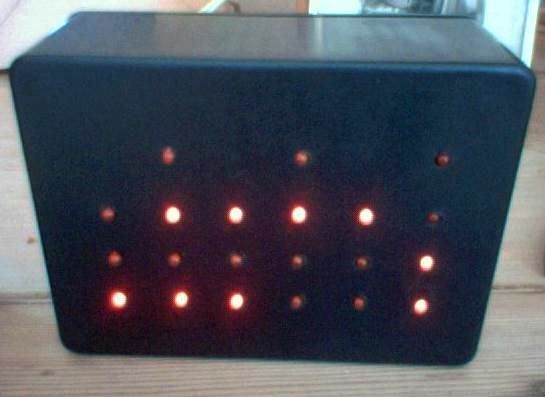 Some time after my Sidereal Clock project I built this simple novelty clock, which displays 24-hour time in binary. 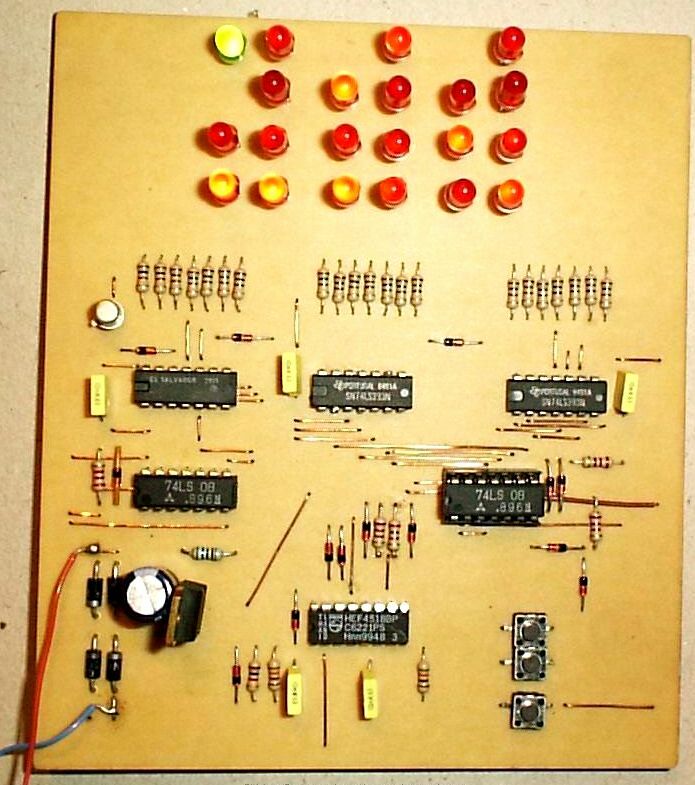 All the parts for this clock came from scrap. 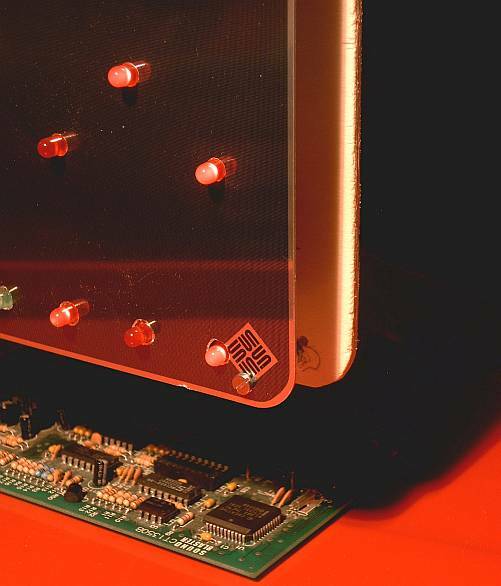 The red LED's making up the display came from an old video player. 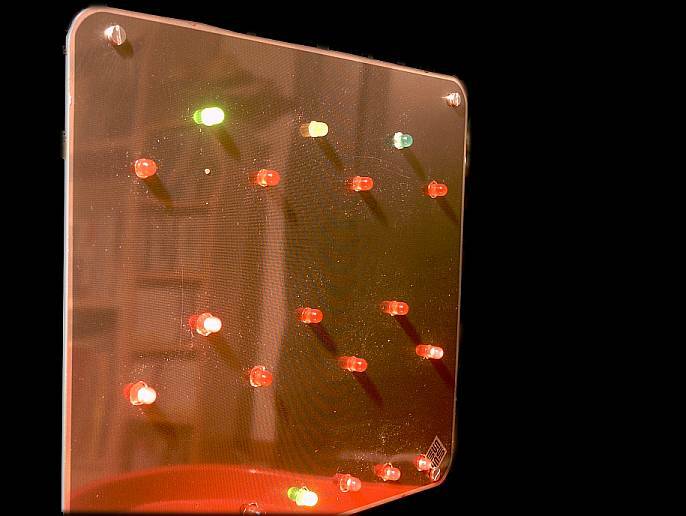 The high brightness green LED was also from an old video player (a different one). 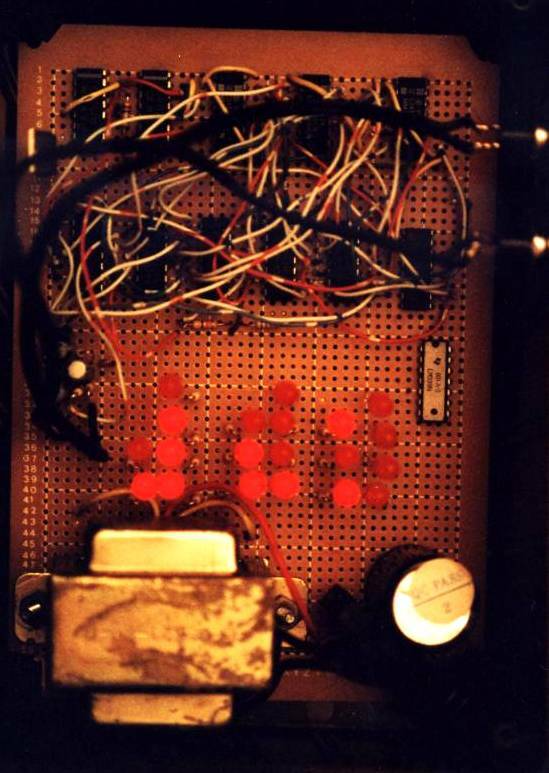 The TTL logic chips were from old computer boards, with the possible exception of the 4518 counter chip, which was probably a left over spare from my Sidereal Clock project. 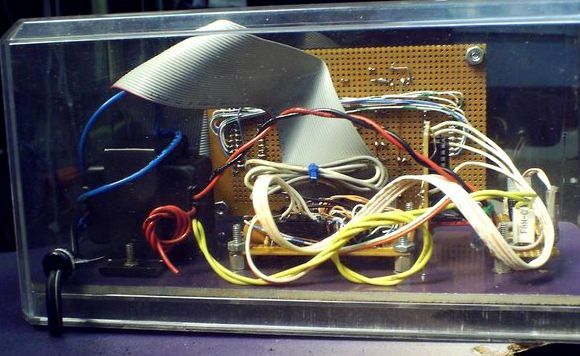 The transformer came from an old audio cassette player. 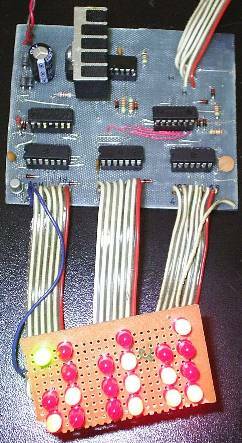 I later needed the 74LS393s elsewhere in my Z80 computer, which is why the photograph above is minus these chips (and obviously doesn't show the clock in working order!). 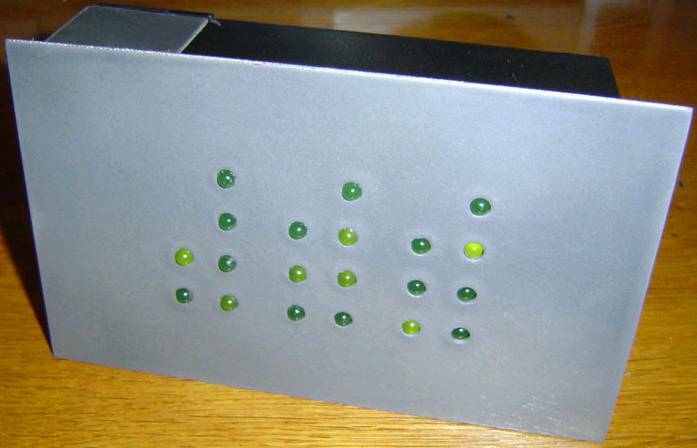 The clock was built on pieces of plain matrix board, which has holes on a 0.1-inch pitch with no copper tracks. 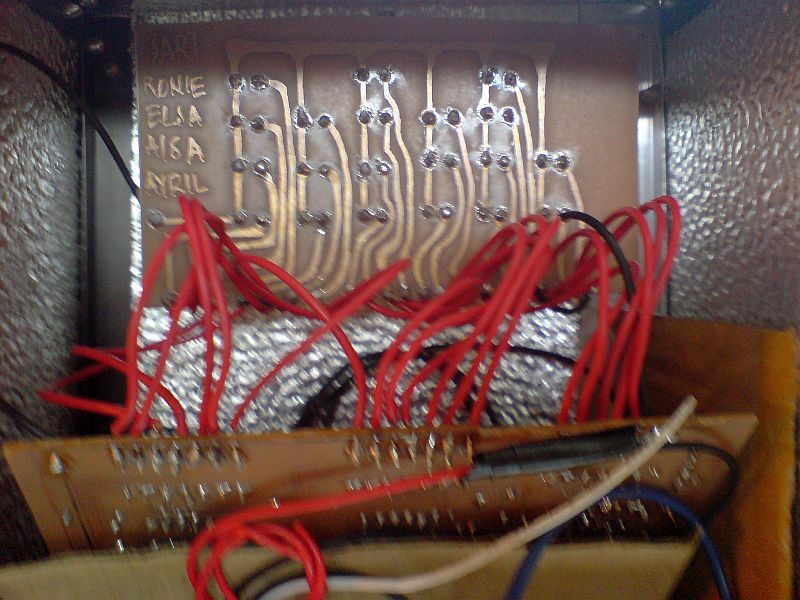 Connections are made using point to point solid-code wiring, using wires from old telephone cabling. This is my preferred construction method. I didn't ever get around to boxing this clock. 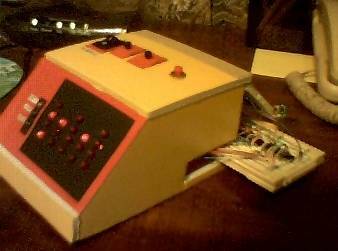 This kit uses a microcontroller, not discrete logic like my project here. It is available from AppleMountain Electronic Kits and Curiosities. You can buy one with or without the bamboo case. There's some more information about my experiences building two of the clock kits, on my page here. 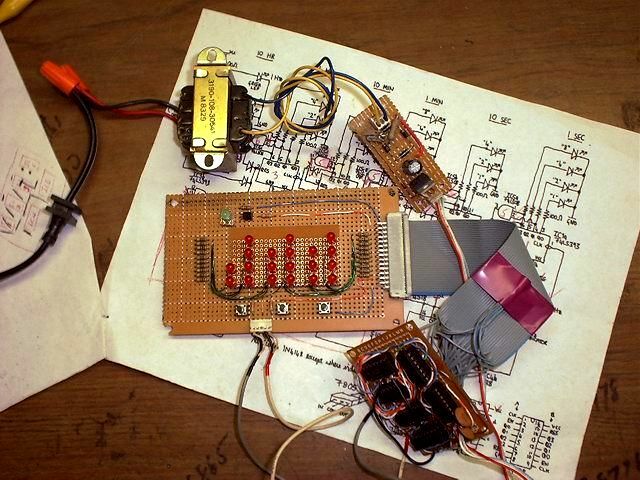 LEFT: My original hand-drawn circuit diagram (binary clock schematic). MIDDLE: Computer drawn diagram, kindly sent to me by Steven Moughan. RIGHT: Computer drawn diagram, kindly sent to me by Eugene Luca. Download Autocad (.dwg) file. 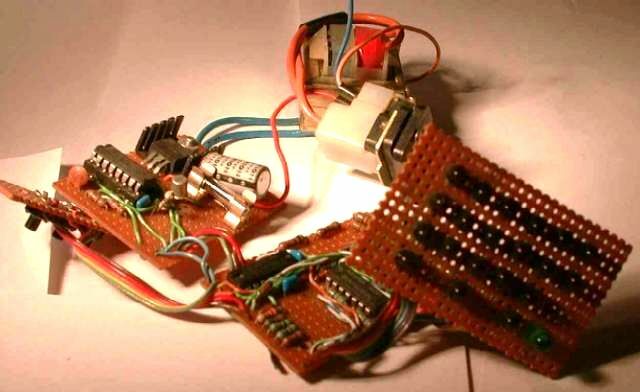 See also circuit diagram as a pdf. 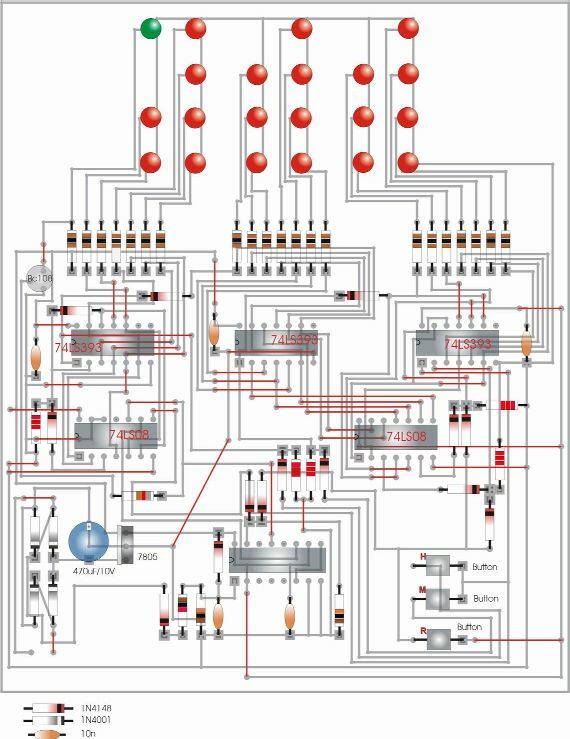 There's also this circuit diagram binaryclock.sch, sorry I can't remember who sent me this one. NOTE:I believe my hand-drawn circuit diagram is an accurate representation of the circuit I built. I have not checked the two computer diagrams carefully against my hand-drawn one. 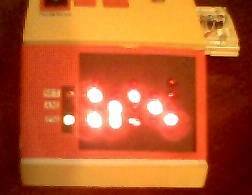 I think that there is an extra incorrect pair of diodes between the hours and minutes set button on the centre diagram. The circuit is quite simple, utilising a 4518 dual-BCD-counter chip to divide the 50 Hz mains frequency by 50 to get 1 Hz per second. NOTE: For US users or any other places where the mains frequency is 60 Hz, you will need to divide by 60. 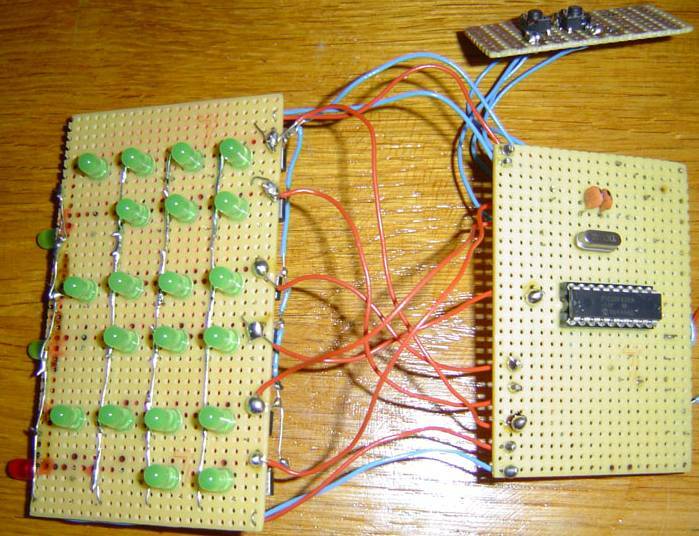 You can do this by connecting IC6c pin 9 to IC4b pin 12 (Q1) instead of pin 11 (Q0). You are then decoding the "6" count instead of "5" (IC4a always divides by 10). US users should also use a 120V primary transformer instead of the European 240V. 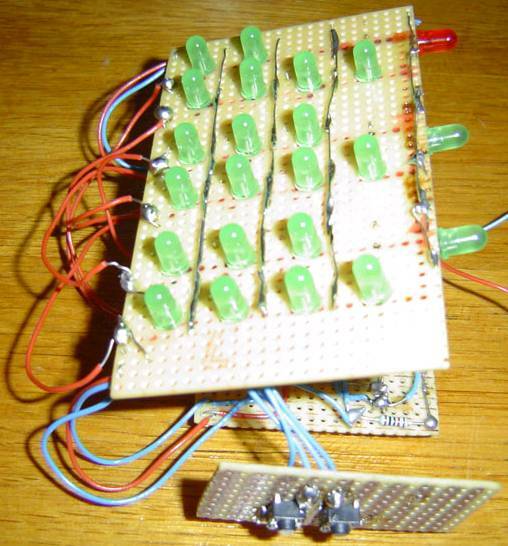 Three 74LS393 dual 4-bit binary counters are used as hours, minutes and seconds counters. 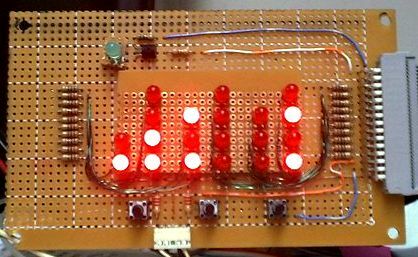 AND-gates (74LS08) ensure that the count resets at the right time, i.e. 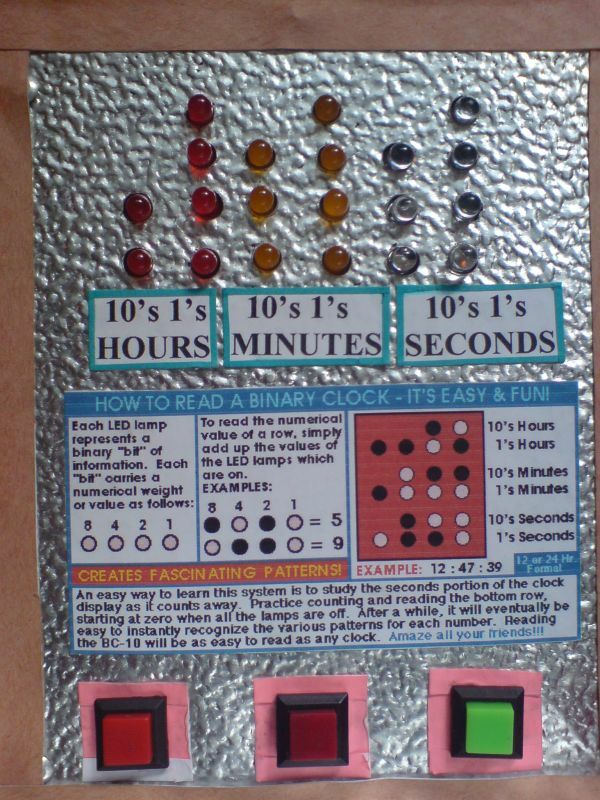 the seconds counter counts from 0 to 9 then resets, whereas the 10-seconds counter counts 0-5 then resets. In the latter case the AND gate detects 6 and causes a reset pulse to occur. 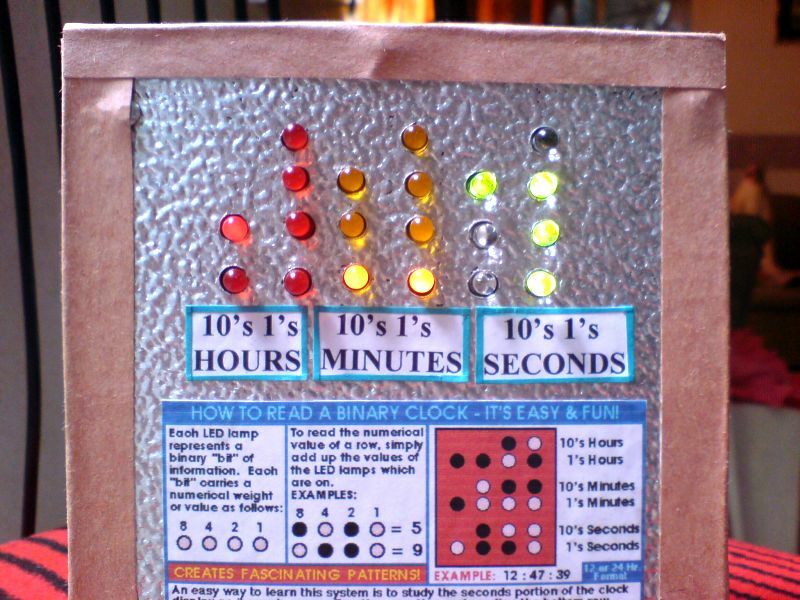 The seconds counters can also be reset by a push-button switch. 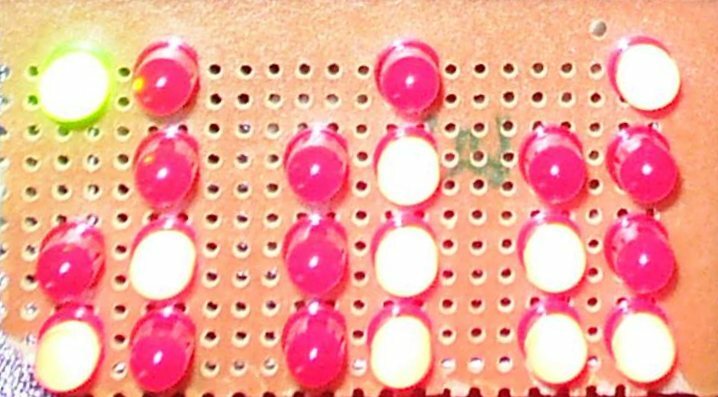 The two reset signals for the seconds counter are OR'ed together using two diodes and a 2K2 resistor, rather than a separate OR-logic chip (e.g. 74LS32). 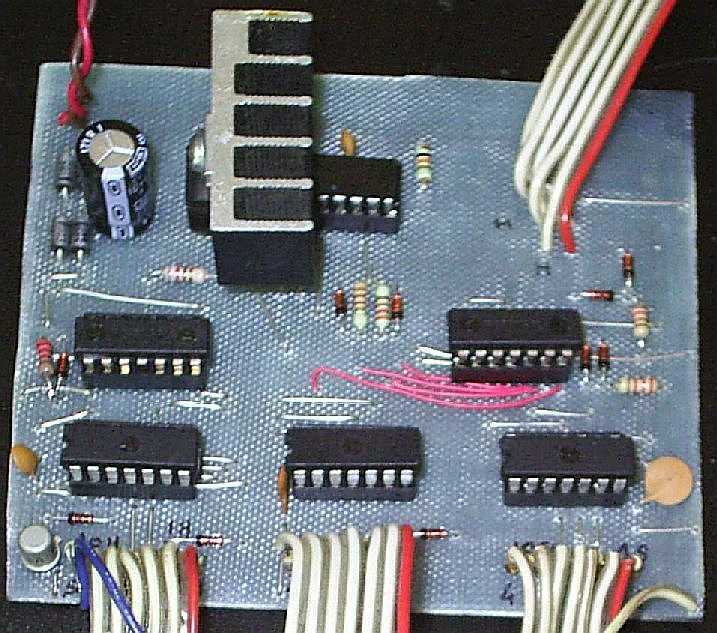 This avoids using an extra chip but a 74LS32 could easily have been used if one was available. Similarly you will see diode-resistor OR gates at the clock inputs of IC2a and IC3a (minutes and hours counters), which combine the normal count signal (on reaching 60 seconds for example) with a 1 Hz signal from the "Mins Set" or "Hours Set" push-button switches. 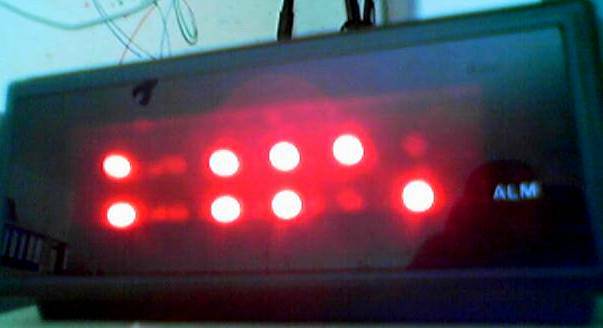 The time display LED's are all red and use a 100 ohm series resistor. Before building the whole thing I suggest testing with just one LED and resistor connected to one output of a 74LS393, to see if you get the right brightness. 100 ohm may be too small (too bright). Certainly you probably don't want to go less than 100 ohm or you will either burn out the LED's or overheat the 74LS393's. 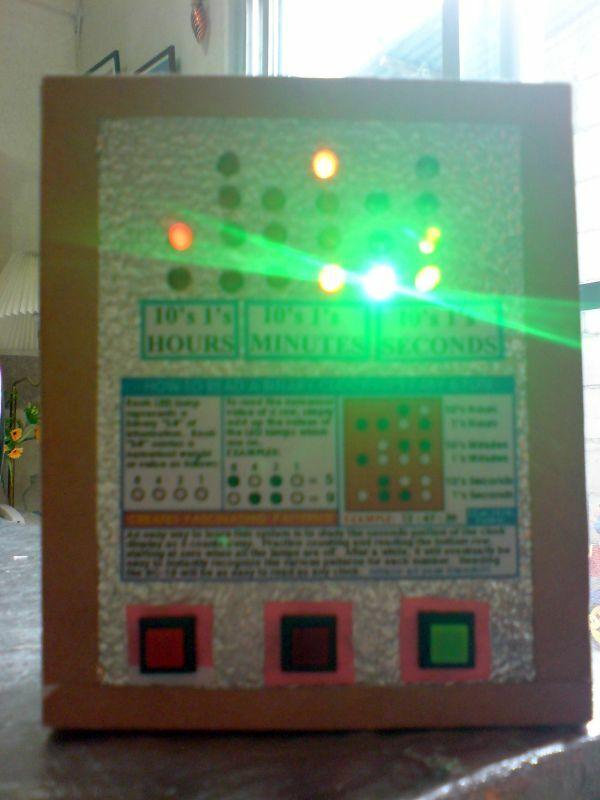 The green LED at the top left flashes in time with the seconds, its ON time is in fact 0.4 seconds, driven via a BC108 transistor by the 4518 50Hz divider chip. 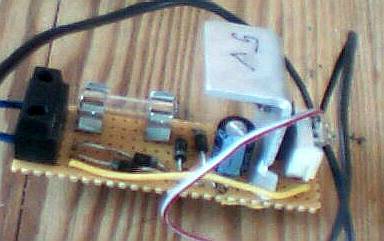 The power supply is fairly standard, I used a small transformer from an old audio cassette player, with 6V secondary. 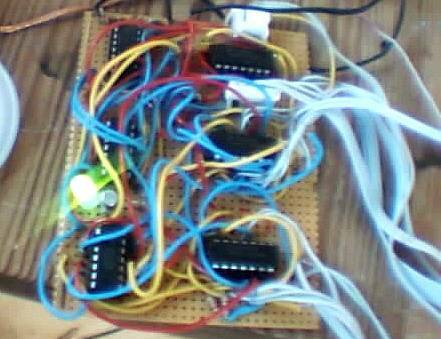 This is rectified by a bridge rectifier and regulated to +5V by a 7805 1A regulator. Derek Tombrello had some difficulties with the timebase. It seems that a noisy local mains voltage caused his clock to run fast. He came up with an alternative way to extract a 1Hz pulse from his local (60Hz) mains frequency. 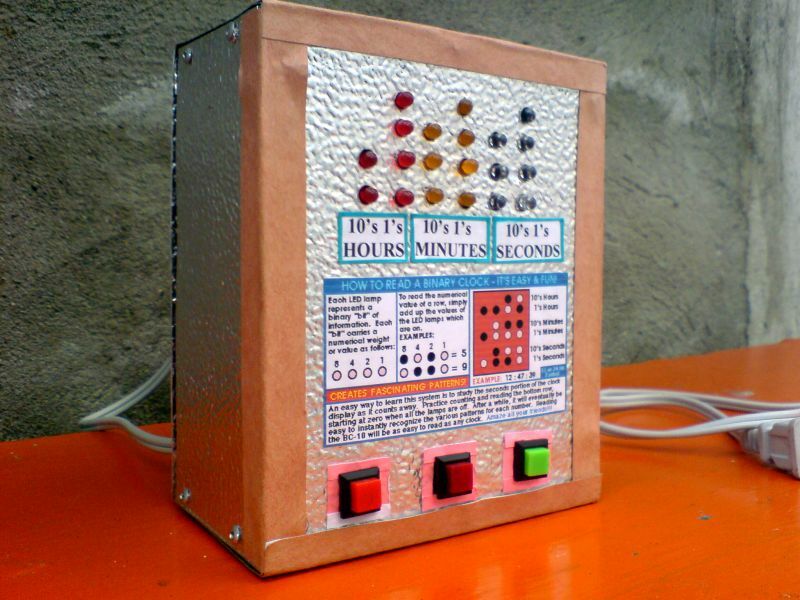 CLICK HERE to view the circuit diagram. Scroll down the page to see photographs of Derek's clock. 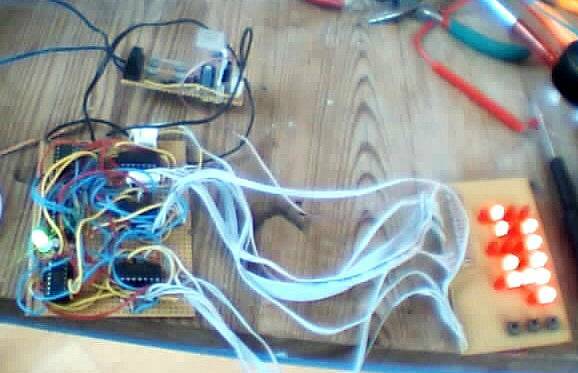 Martin Keller (Germany) sent me a modification to run the binary clock from a quartz crystal reference rather than using the 50Hz mains frequency. 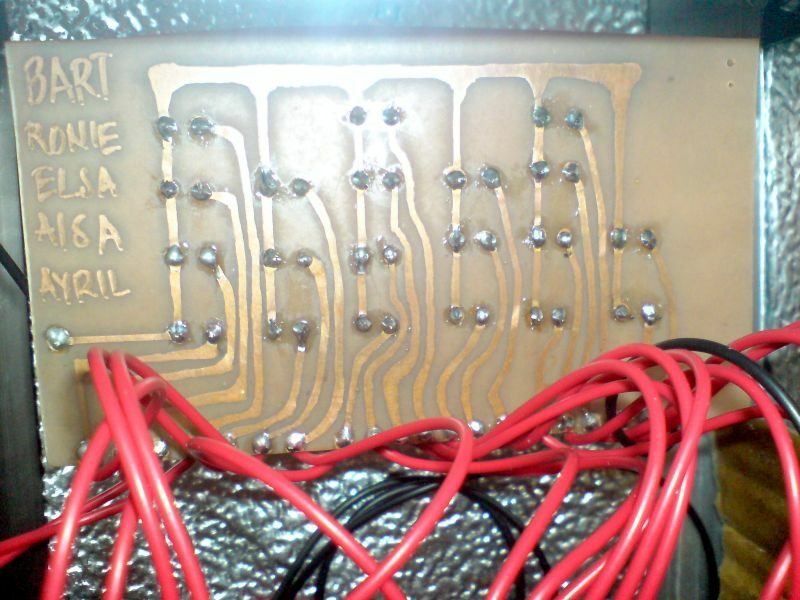 CLICK HERE to view the circuit diagram. NOTE: A mains driven clock exhibits excellent long term accuracy since power companies ensure that any frequency deviations during the day due to demand variations are compensated for at a later time. Accurate atomic clocks are used for this purpose. However during the day, demand variations cause frequency deviations which mean that a mains driven clock can become several seconds fast or slow. By contrast, a crystal reference provides very good short term accuracy, but over time will tend to slowly gain or lose time. 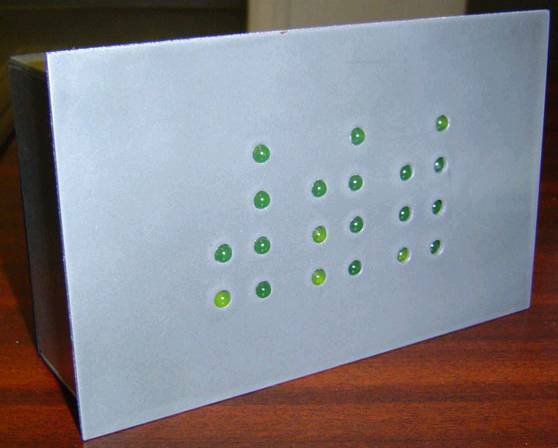 The crystal frequency can be slightly adjusted by making one of the capacitors variable, e.g. replace C1 in the diagram with a 50pF trimmer capacitor. This can be used to improve the long term accuracy but it's still not as good as a mains clock. NOTE: The 74LS08 and 74LS393 could be replaced by their more modern 74HC-series variants, i.e. 74HC08 and 74HC393. The latter are cheaper, more easily available (nowadays) and have lower power consumption. 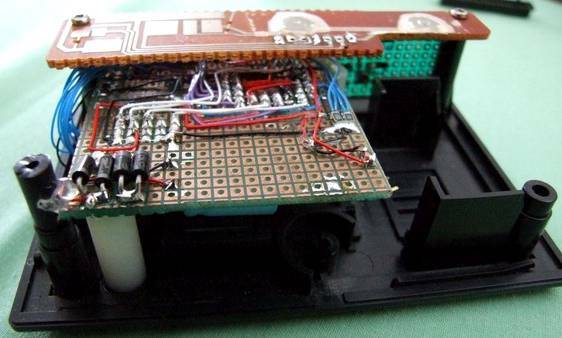 If you do this, then you can replace the 2K2 pulldown resistors wherever you see them, with something much higher e.g. 100K. There is also a 74HC4518 if you can find it, but if not then the plain old CMOS 4518 is still perfectly Ok. 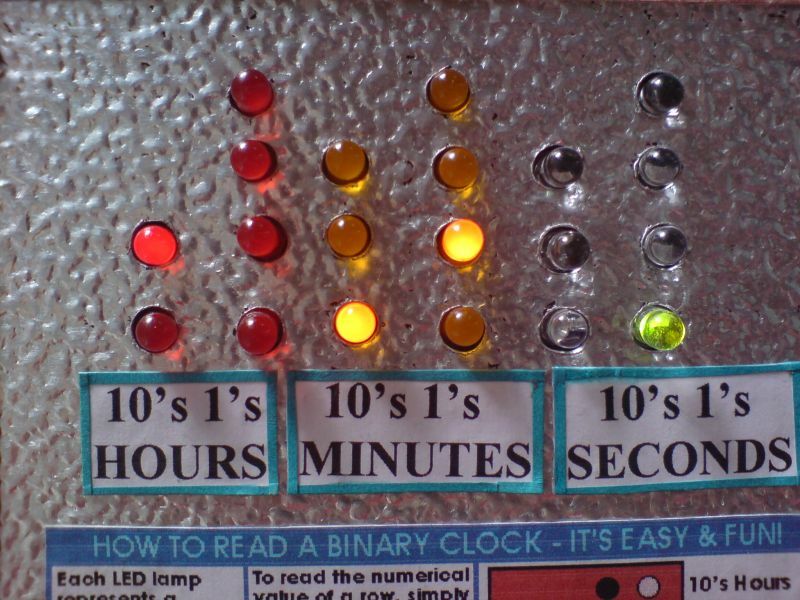 The photos below have been sent to me via email from other binary clock builders. If you've built this project too, why not email me a photo for the gallery! Please click the photos to view full size versions. 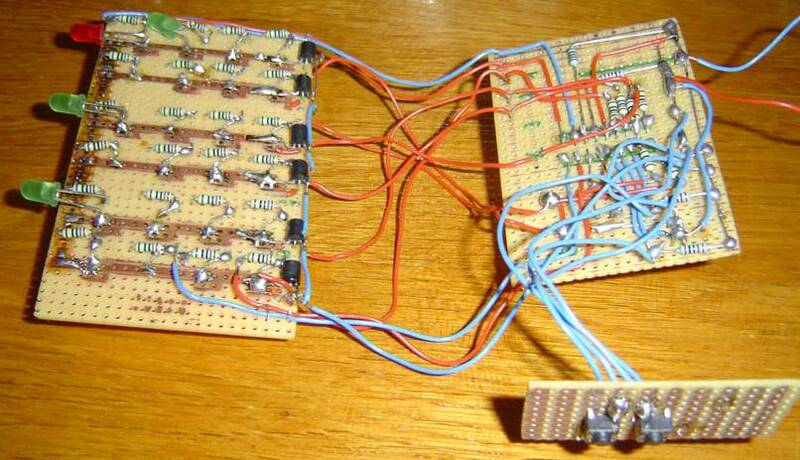 Bulent Uysaler also provided a nice PCB layout. I have .DXF and .PCB files available if you need them, Click here to download them: p3.dxf, p3.pcb (you need PCAD to view these files), and p3.pdf. Bulent even sent me a short video of the clock in operation! Derek Tombrello. See also his alternative 1Hz circuit. Oscar García, José Luis Solís, Armando Rodríguez, students of the Mechanical and Electrical Engineering college in Monterrey, Mexico. This is the final year project of their course. Stuart Metcalf, UK. Visit Stuart's Blog for more information and photos. 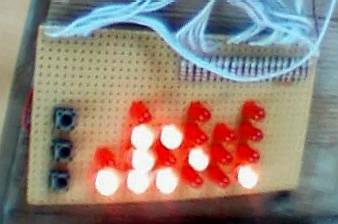 Ivo Naumovski from Macedonia says: "some time ago surfing I've come across your binary clock and immediately know I have to build this, because it's so cool. 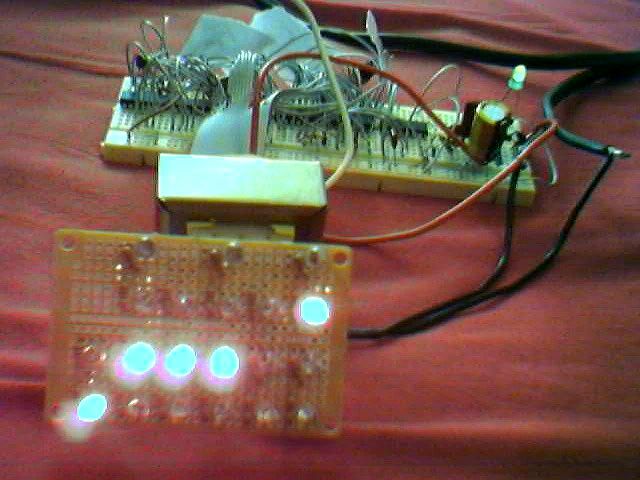 So I did build it using Bulent Uysaler PCB layout and it works excelent. thanks for the schematic!" 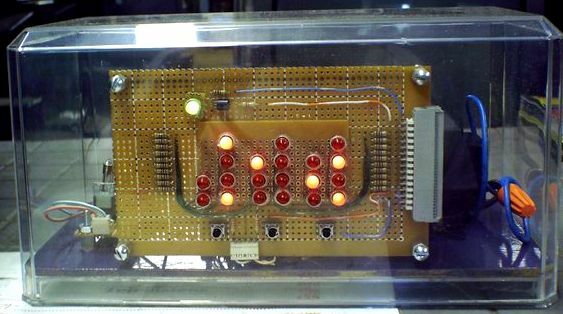 Göblyös János from Hungary, uses a microcontroller instead of discrete logic. Felix Engel, Germany. 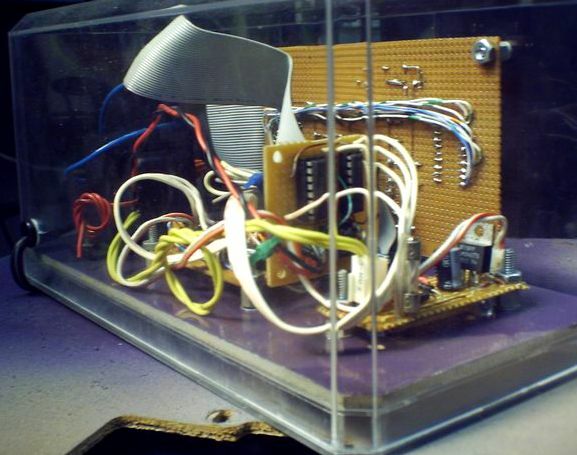 Visit http://2501.fcenet.de/site/misc/binaryClock.htm for more information and photos. "On the same website you will also see the previous releases and the problems I encountered. 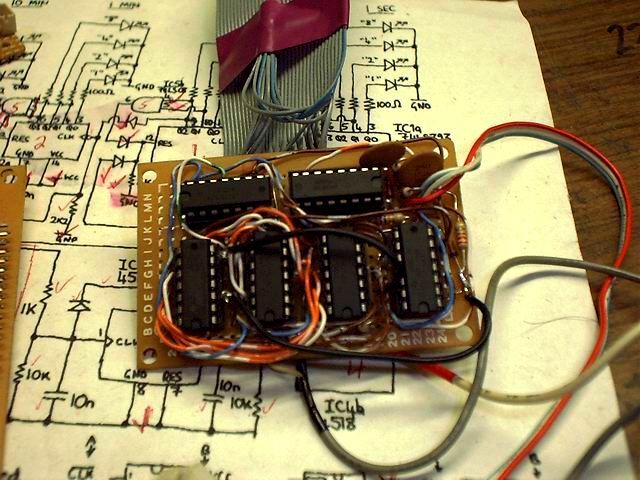 You will also see I'm planning to make a brand new binary clock with an AVR instead of a MAX7000s, using DCF77 or the internet to adjust the clock. 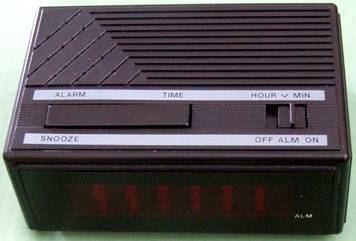 "I've demolished an old alarm clock, I use the snooze-button to set the hour and I use the battery-place to upload new firmware into the clock. The D's and the C are not in use anymore (that was just a try-out)". 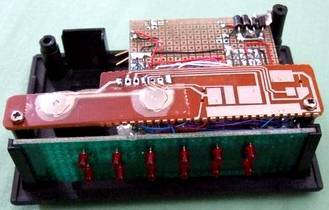 Virgil Ryan Bartolome (and friends) from The Philippines, built this very nice student project.